You are at:Home»Herbs»Foeniculum vulgare Mill. Latin name : Foeniculum vulgare Mill. Description : The oil is antispasmodic, aromatic, bactericidal, carminative, stimulant and is considered useful in diseases of the chest and is also useful in flatulence, constipation, bloating, belching, infantile colic and checks griping of purgatives. The fruits are analgesic, anthelmintic, antibacterial, antiemetic, antifungal, antiinflammatory, antispasmodic, antitussive, aperient, aromatic, calmative, cardiac stimulant, carminative, digestive, diuretic, deobstruent, emmenagogue, expectorant, galactagogue, phytoestrogenic, refrigerant, stomachic and stimulant. They are considered useful in diseases of the chest, liver, spleen and kidney. They are credited with an action similar to the female hormone oestrogen. Both Hippocrates and Dioscorides recommended Fennel to increase breast-milk flow in nursing mothers and can ease colic in babies. 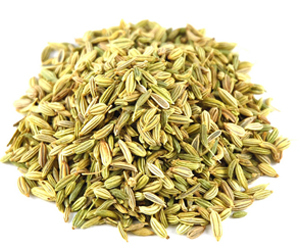 Fennel is believed to exert an estrogenic effect upon the breast tissue. This action stimulates the healthy growth of breast tissue. They also have a long standing reputation as an aid to weight loss and to longevity. It helps those wishing to loose weight by suppressing the appetite while stimulating the metabolism. Said to restore libido to the impotent and frigid. May have a positive effect on menopause and premenstrual syndrome (PMS). Also removes foul breath. Recommended Dosage : Fruit :- 5 to 7 g; Oil : 0.1 to 0.6 ml. Contraindication : The fruit is contraindicated during pregnancy. The essential oil should never be used during pregnancy or given to infants or toddlers.